The second annual John Rainey Inclusion awards were given out at an event to raise awareness of the benefits to local businesses of employing people with disabilities. 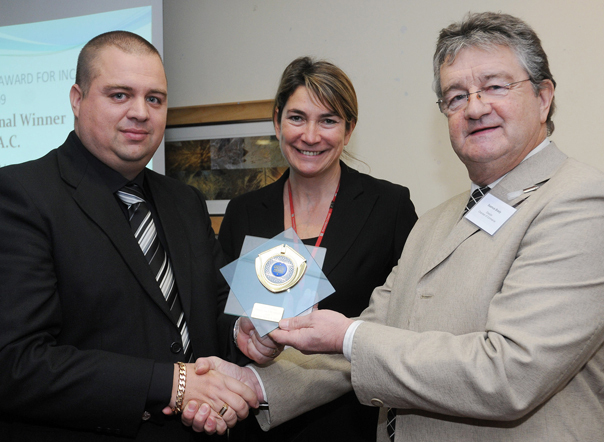 The organisational award was given to Graham Barker KPAC. The award were sponsored by Knowsley Chamber of Commerce, were given out by the Chamber’s Board member Seamus Brady and Sheena Ramsey, Chief Executiv e of Knowsley Council. Cllr Graham Morgan, Knowsley Council Cabinet Member for Regeneration, Economy and Skills, said: “It was fitting that KPAC was honoured with the John Rainey Awards, as he has worked tirelessly to improve the employment opportunities for disabled people. “A successful business will innovate and evolve based on the views of both their customers and their employees, and a diverse workforce will give a more thorough view on how a business can be improved. The event was organised by Knowsley Metropolitan Borough Council to mark the International Day of Persons with Disabilities.